A Teesside University Women’s footballer is ‘hopeful’ that the team can go ‘one better’ after losing last year’s cup final. 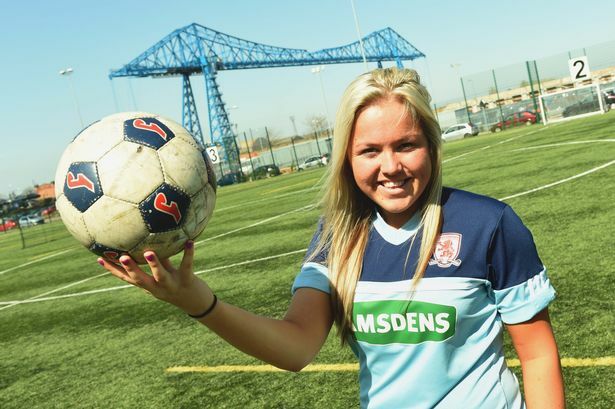 Bianca Owens is the main striker with the Teesside University Women’s Football Team and is eager to see the team register a success this season. A narrow 2-1 defeat to Durham in last year’s cup final has left the team more motivated than ever and star striker Bianca is already showing her intent. The 22-year-old currently has already scored 14 goals in four appearances for Teesside this season. However, Bianca insists personal accolades are not important and ‘’it’s all about winning” for the team. Following four straight wins Bianca is ‘confident’ the team can push on for promotion but warns that the team will not to drop its standards. Teesside are looking for Bianca and the rest of the team to continue the fine form in-order to reach the main aim of promotion out of the Northern 2B League. However, winning the league isn’t the only aim.